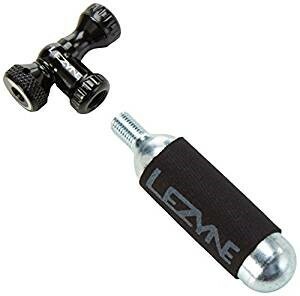 The Lezyne Control Drive CO2 Inflator does just what the name suggests--it gives you control over your CO2 cartridge. By opening and closing the control valve, you can release as much or as little CO2 as you need. The Control Drive is oversized, so you don't have to take your gloves off to operate it. The Control Drive also works with either Schrader or Presta valves.